Downe is a village in Greater London, England, located within the London Borough of Bromley and beyond London urban sprawl. Downe is 3.4 miles (5.5 km) south west of Orpington and 14.2 miles (22.9 km) south east of Charing Cross. Downe lies on a hill, and much of the centre of the village is unchanged; the former village school now acts as the village hall. The word Downe originates from the Anglosaxon word dūn, latterly down, hence the South and North Downs. The village was part of Kent until April 1965 when it was subsumed into the new London Borough of Bromley. Emma Darwin was an English woman who was the wife and first cousin of Charles Darwin. They were married on 29 January 1839 and were the parents of ten children, seven of whom survived to adulthood. The New York Academy of Sciences was founded in January 1817. It is one of the oldest scientific societies in the United States. An independent, non-profit organization with more than 20,000 members in 100 countries, the Academy's mission is "to advance scientific research and knowledge; to support scientific literacy; and to promote the resolution of society's global challenges through science-based solutions". The current President and CEO is Ellis Rubinstein; the current chair of the board of governors of the Academy is NYU professor and longtime Senior Vice President of all research for IBM, Paul Horn. He succeeds Nancy Zimpher, Chancellor, The State University of New York (SUNY). On 24–28 November 1959, The University of Chicago held a major, well publicised, celebration of Darwin and the publication of On the Origin of Species,  the largest event of the Darwin Centennial Celebration. The Darwin Centennial Celebration of 1959 was a worldwide celebration of the life and work of British naturalist Charles Darwin that marked the 150th anniversary of his birth, the 100th anniversary of the publication of On the Origin of Species, and the 125th anniversary of the second voyage of HMS Beagle. The major center of festivities and commemoration was the University of Chicago, which hosted a five-day event, organized by anthropologist Sol Tax, that attracted over 2,500 registered participants from across the world. According to historian V. Betty Smocovitis, the Chicago celebration "outshone-and arguably may still outshine-all other scientific celebrations in the recent history of science." Independently, in 1997, Professor Massimo Pigliucci initiated an annual "Darwin Day" event with students and colleagues at the University of Tennessee. The event included several public lectures and activities as well as a teachers' workshop meant to help elementary and secondary school teachers better understand evolution and how to communicate it to their students, as well as how to deal with the pressures often placed on them by the creationism movement. Darwin's alma mater, Christ's College, Cambridge, commemorated the bicentenary with the unveiling of a life-sized bronze statue of the Young Darwin, sculpted by their former graduate Anthony Smith. HRH Prince Philip unveiled the statue and it was later shortlisted for the Marsh Award for Excellence in Public Sculpture 2009. In the same year, two well known evolutionary biologists, Richard Dawkins and Jerry Coyne published book length treatments covering the evidence for evolution. In 2002, Chesworth compiled and edited a substantial book entitled Darwin Day Collection One: the Single Best Idea, Ever. The objectives of the book were to show the multidisciplinary reach of Charles Darwin and to meld academic work with popular culture. Support for Darwin Day comes from both secular and religious organisations. Many Christians who support the concept of evolutionary creation, such as the Biologos Foundation and GC Science, celebrate Darwin Day, believing that evolution was a tool used by God in the creation process. Some free-thought organisations that support Darwin Day include Council for Secular Humanism, The Freedom from Religion Foundation,  the Humanist Association of Canada  the Center for Inquiry  and the American Humanist Association  in the United States, as well as the British Humanist Association  in the UK, have helped to spread awareness about Darwin Day. In 1999, the Campus Freethought Alliance  and the Alliance for Secular Humanist Societies  began promoting Darwin Day among members. Humanist and skeptic groups welcomed the event and an increase in celebrations on or around 12 February spread across the US and in several other countries. The organizers behind this effort included the International Humanist and Ethical Union,  Massimo Pigliucci, Amanda Chesworth, and Joann Mooney. D. J. Grothe continues to champion this effort among groups associated with the Center for Inquiry Campus and Community programs. Center for Inquiry branches across the world also organise Darwin Day events. Free Inquiry magazine, the flagship publication of the Council for Secular Humanism, and Skeptical Inquirer, the flagship publication of the Committee for Skeptical Inquiry, advertised the event and attracted further individuals and groups. The Secular Student Alliance,  and other organisations committed to reason and rationality also participate in the annual celebration. With Robert Stephens, a scientist, as its President, Darwin Day Celebration has sought (particularly by emailing) and received support from scientists and science enthusiasts across the globe. Educators began to participate by offering special lessons to their students on or around 12 February. Darwin Day Celebration has joined COPUS, the Coalition on the Public Understanding of Science,  reflecting an increased emphasis on science education and appreciation. Scientific organisations such as the National Center for Science Education,  and the Linnaean Society, have endorsed the holiday. Scientists, philosophers, historians, and physicians lent their names in support of the effort, including Daniel Dennett, Steven Pinker, Eugenie Scott, Steven Jones, Elliott Sober, Sir John Maddox, Helena Cronin, William Calvin, John Rennie, Paul Kurtz, Carl Zimmer, Edward O. Wilson, Michael Shermer, Susan Blackmore, Michael Ruse, Richard Leakey, Niles Eldridge, and Colin Tudge. Musicians and entertainers such as Richard Miller and Stephen Baird also participated. In 2004, Michael Zimmerman, a professor of biology and dean of the College of liberal arts and sciences at Butler University, founded the Clergy Letter Project  in which over 11,100 clergy, as of 18 April 2008, have signed a declaration that a person of faith does not have to choose either belief in God or belief in evolution. In 2006 Zimmerman developed the Evolution Sunday movement. In 2007 lectures and sermons were presented to roughly 618 congregations across the United States and 5 other countries, on Darwin's birthday. Evolution Sunday is intended to show that faith and evolutionary science are compatible in many religious traditions. In 2008, Evolution Sunday was expanded to an Evolution Weekend to incorporate a wider range of faith traditions and 814 congregations from 9 countries participated. 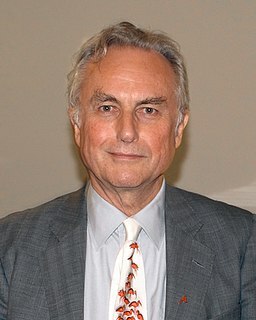 Clinton Richard Dawkins, is an English ethologist, evolutionary biologist, and author. He is an emeritus fellow of New College, Oxford, and was the University of Oxford's Professor for Public Understanding of Science from 1995 until 2008. The Discovery Institute (DI) is a politically conservative non-profit think tank based in Seattle, Washington, that advocates the pseudoscientific concept of intelligent design (ID). Its "Teach the Controversy" campaign aims to permit the teaching of anti-evolution, intelligent-design beliefs in United States public high school science courses in place of accepted scientific theories, positing that a scientific controversy exists over these subjects. Eugenie Carol Scott is an American physical anthropologist, a former university professor and educator who has been active in opposing the teaching of young Earth creationism and intelligent design in schools. Fortney Hillman "Pete" Stark, Jr. is an American businessman and politician who was a member of the United States House of Representatives from 1973 to 2013. A Democrat from California, Stark's district—California's 13th congressional district during his last two decades in Congress—was in southwestern Alameda County and included Alameda, Union City, Hayward, Newark, San Leandro, San Lorenzo, and Fremont, as well as parts of Oakland and Pleasanton. At the time he left office in 2013, he was the fifth most senior Representative, as well as sixth most senior member of Congress overall. He was also the dean of California's 55-member Congressional delegation, and the only open atheist in Congress. HumanLight is a Humanist holiday celebrated annually on December 23. HumanLight was first celebrated in 2001, and was created to provide a specifically Humanist celebration during the western world's holiday season. The New Jersey Humanist Network founded the holiday in 2001 to aid secular people in commemorating the December holiday season without encroaching on other adjacent holidays—both religious ones such as Christmas and secular ones such as Solstice. The inaugural event involved only the founding organization, but is now celebrated by many secular organizations and individuals across the United States and other countries. Various organizations have recognized the holiday, including the American Humanist Association in 2004. The HumanLight Committee maintains the official HumanLight webpage and engages with humanist organizations and the media about the holiday. Michael Dowd is an American Progressive Christian minister, author, and eco-theologian known as an advocate of Big History, religious naturalism, sustainability, climate activism, and the epic of evolution. The National Day of Reason is a secular celebration for humanists, atheists, and other secularists and freethinkers in response to the National Day of Prayer, a legal holiday in the United States. The day is celebrated on the first Thursday in May of every year, to coincide with the National Day of Prayer, which many atheist and secular groups view to be unconstitutional. The purpose of the National Day of Reason is to "celebrate reason—a concept all Americans can support—and to raise public awareness about the persistent threat to religious liberty posed by government intrusion into the private sphere of worship." The National Day of Reason is also meant to help build community among the non-religious in the United States. The Giordano Bruno Foundation is a Germany-based non-profit foundation under public law that pursues the “Support of Evolutionary Humanism”. It was founded by entrepreneur Herbert Steffen in 2004 and was named after the Dominican friar Giordano Bruno who was convicted of heresy and burnt at the stake in 1600. The foundation's executive spokesman is Michael Schmidt-Salomon, who also wrote the “Manifesto of Evolutionary Humanism” on its behalf. From its beginnings the foundation was particularly committed to the work of church critic Karlheinz Deschner. Douglas James "D. J." Grothe is an American writer and public speaker who talks about issues at the nexus of science, critical thinking, secularism, religion and the paranormal. As an active skeptic, he has served in leadership roles for both the Center for Inquiry (CFI) and the James Randi Educational Foundation. While he was at CFI, he hosted their Point of Inquiry podcast. After leaving Point of Inquiry he hosted the radio show and podcast For Good Reason. He is particularly interested in the psychology of belief and the steps involved in deception and self-deception. His writing has been published by both Skeptical Inquirer magazine and The Huffington Post. He also co-edited On the Beauty of Science, about the worldview and life's work of Nobel Laureate Herbert Hauptman. Commemoration of Charles Darwin began with geographical features named after Darwin while he was still on the Beagle survey voyage, continued after his return with the naming of species he had collected, and extended further with his increasing fame. Many geographical features, species and institutions bear his name. Interest in his work has led to scholarship and publications, nicknamed the Darwin Industry, and his life is remembered in fiction, film and TV productions as well as in numerous biographies. Darwin Day has become an annual event, and in 2009 there were worldwide celebrations to mark the bicentenary of Darwin's birth and the 150th anniversary of the publication of On the Origin of Species. Humanist Society (Singapore) is registered in 2010 as a society in Singapore for humanists, freethinkers, atheists, agnostics and other like-minded people. The non-religious make up 17% of the Singapore population as of last available Census in 2010. Evolution Day is a celebration to commemorate the anniversary of the initial publication of On the Origin of Species by Charles Darwin on 24 November 1859. Such celebrations have been held for over a century, but the specific term "Evolution Day" for the anniversary appears to be a neologism which was coined prior to 1997. By highlighting Darwin's contributions to science, the day's events are used to educate about evolutionary biology. 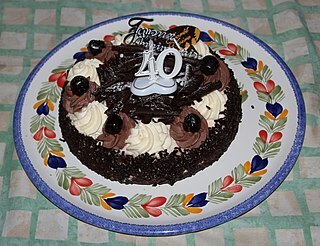 It is similar to the better-known Darwin Day, held on the anniversary of his birth. It is unrelated to the secularization campaign by the Giordano Bruno Foundation to have the German public holiday of Ascension Day renamed to "Evolutionstag". Rafida Bonya Ahmed is a Bangladeshi-American author, humanist activist and blogger. 1 2 "Darwin Day Celebration to Offer Evolution Education". The Knoxville News-Sentinel. 7 February 2015. Retrieved 7 May 2015. ↑ "Fun Holiday – Darwin Day". www.timeanddate.com. Retrieved 2019-02-12. ↑ "Darwin Online: Emma Darwin's diaries (1824–1896)". darwin-online.org.uk. Retrieved 2019-02-12. ↑ van Wyhe, John. "1909: The first Darwin centenary". 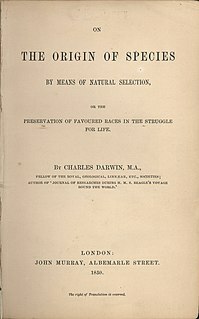 The Complete Works of Charles Darwin Online . Retrieved 7 June 2011. ↑ Richmond, M. L. (2006). "The 1909 Darwin Celebration". Isis. 97 (3): 447. doi:10.1086/508076. ↑ "The Darwin Celebration". May 1909. Retrieved 17 September 2007. ↑ "Transactions and Proceedings of the Royal Society of New Zealand 1868–1961". 1909. Retrieved 17 September 2007. ↑ "Guide to the Darwin Centennial Celebration Records". 1959. Archived from the original on 25 January 2008. Retrieved 17 September 2007. ↑ "Darwins Day at Bishops Mills Natural History Centre". pinicola.ca. Archived from the original on 17 August 2007. Retrieved 2 August 2007. ↑ Kelly, Paul (22 April 2003). "2008 Darwin Festival" . Retrieved 1 August 2007. ↑ Kelly, Paul (19 December 2006). "History of the Darwin Festival" . Retrieved 17 September 2007. ↑ USPTO (31 August 2007). "Trademark Electronic Search System (TESS)" . Retrieved 31 August 2007. ↑ "Marsh Sculpture Prize". Christ's College. Archived from the original on 31 October 2016. Retrieved 30 October 2016. ↑ "Charles Darwin 200th Birthday 1oz Silver Proof Coin". The Perth Mint. Retrieved 5 February 2019. ↑ Stark, Fortney Pete (10 February 2011). "Text – H.Res.81 – 112th Congress (2011–2012): Expressing support for designation of February 12, 2011, as Darwin Day and recognizing the importance of science in the betterment of humanity". United States Congress. Retrieved 5 February 2019. ↑ "Humanists Proudly Endorse Rep. Pete Stark's Darwin Day Resolution" (Press release). American Humanist Association. 10 February 2011. Retrieved 5 February 2019. 1 2 Oppenheimer, Mark (1 February 2013). "Seeing Darwin Through Christian Eyes? It All Depends on the Christian". The New York Times . Retrieved 2 February 2013. ↑ "'Charles Darwin Day' in Delaware Boosts Atheists' Hopes of Federal Recognition". Fox Nation. Archived from the original on 17 June 2017. Retrieved 11 January 2019. ↑ "Upcoming Events – February 12, 2015 Proclaimed as 'Charles Darwin Day' By Delaware Governor Jack Markell – Darwin Day". darwinday.org. 1 2 "Darwin Day Resolution in Congress". National Center for Science Education. 3 February 2015. Retrieved 7 May 2015. ↑ "About us". UGA's Darwin Day. Retrieved 12 February 2013. ↑ "Evolution's in the air at Darwin Day UGA 2013". The Red & Black. Retrieved 12 February 2013. ↑ Stanley, Sharon (January 2012). "Why Aren't More Kids Celebrating Darwin Day?". Humanist. 72 (1). ISSN 0018-7399 . Retrieved 7 May 2015. (Subscription required (help)). ↑ "Events --- for the celebration of Science and Humanity". 2 August 2007. Archived from the original on 27 September 2007. Retrieved 15 August 2007. ↑ Garcia, Elena. "Creationists to Mark 'Darwin Day' with Anti-Evolution Conference". The Christian Post. Retrieved 25 January 2013. ↑ Zimmerman, Michael (17 June 2007). "The Clergy Project". Archived from the original on 11 July 2007. Retrieved 15 August 2007. ↑ Zimmerman, Michael (3 August 2007). "Evolution Sunday". Archived from the original on 4 July 2007. Retrieved 15 August 2007.